In a world that is pushing against community, the church must pursue authentic community. There are few things in which the church can be more counter-cultural than in the way it practices community. There are few things in which the church can manifest its missional nature more than in the way it pursues community. It’s a biblical non-negotiable. Transformation is not an individual task. No Christian is an island. The model Jesus gave us for disciple making is one of shared experience and learning in community. 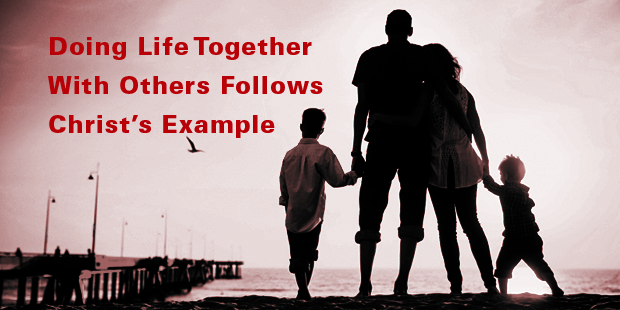 Christ did life together with his disciples, and he expects us to undergo life transformation as a community. Churches that are serious about developing and cultivating authentic community are going to have congregations that are involved in transformational small groups. There’s no getting around the fact that any church that wants to make an impact on its people and a difference in its neighborhood will pursue and cultivate small groups. Transformational groups matter. Small-group ministry is essential to the health of any church. These small groups take a variety of forms: cell groups, Bible studies, life groups, Bible fellowships, discipleship classes, home groups, Sunday school classes, and other gatherings that promote relationships within the community. All groups have a connecting function. All groups have a formation function. All groups have a mission function. Depending on the makeup of your congregation, your overall discipleship plan, and/or your small group strategy, you’ll find that one function will become predominant over the others. And that’s okay. You can actually structure accordingly to accomplish all three functions. The first question we have to ask: what is going to be the primary function or purpose? Connecting? Formation? Mission? The answer depends on several different factors. The discipleship strategy of your church is a pre-condition that is the most important question to decide which function will be the focus. 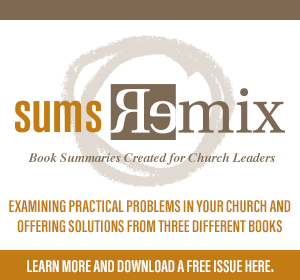 If the preaching and teaching in your church is predominantly characterized by biblical exposition, it would be wise to consider the connecting or mission functions for your small groups. 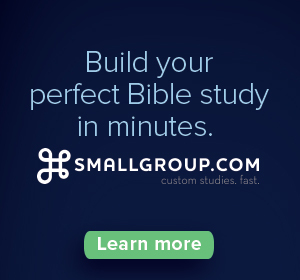 This doesn’t mean your small groups won’t study the Bible. It’s just that their intended purpose will be along the connecting or mission trajectories. Conversely, if the preaching and teaching on Sunday is more topical and intended as a front-door experience for those who wouldn’t be considered the core of your community, you probably want to consider small groups centered on Bible study and spiritual formation. The next question to consider is how will you structure your small groups to carry out the primary function? For example, let’s say that you’re focusing on missional communities. Missional communities are communities that are intentionally mission focused. These communities are engaging and serving those around them as an outgrowth of the gospel. This doesn’t mean that missional small groups are not a place for congregational members to be building meaningful relationships with one another. They are connection points. And it also doesn’t mean that missional small groups do not seriously engage in spiritual formation in the lives of its members. It’s just the opposite. Missional small groups are strongest when all three functions of a group are present, with mission being the primary focus. There are a couple of cautions I need to point out. The first, I’ve alluded to above. Focusing on one function of a group alone is not healthy. Transformational small groups thrive when they are practicing all three functions with one as primary. A solitary focus on missions tends to be unsustainable to groups that are not primarily college students. Groups that are solely focused on formation tend to lead to a spiritual deadness in the lives of the people and in the life of the church. This is why the Sunday School movement has seen a lot of decline over the past few years. Many Sunday School classes are focused on knowledge formation. There’s really not enough else happening within the dynamic of the small group that would rise to the level of spiritual formation. The recitation of knowledge without any connection or mission leads to a sense of dryness. On the flip side, if we’re developing a small group as a connecting point for friendship and social interaction only, the result is pretty shallow spirituality. In fact, people will hang for a while and enjoy the relationship building. But since there’s nothing more to the group, after a few weeks or months, they simply won’t stick around. Our research shows people believe there must be a purpose for their gathering. That’s why they’ve come to church. Not simply for connecting, but for something bigger than themselves. And I’ll suggest that something bigger is found in the Word. Small groups that are serious about transformation will have some kind of Bible study or spiritual formation component to them, even if it is secondary to the connecting or mission functions. Every small group should have all three elements of the purpose and function of groups, but one element will be predominant based on the overall discipleship strategy of the church. And that’s the sweet spot. Transformational small groups that are going to serve the church well are going to flow out of the church’s strategy for discipleship and mission. And they are going to be most effective when they augment, rather than duplicate the weekend services. If you’d like to explore more in depth about the role of small groups in the life of the church, my colleague Eric Geiger and I have published a helpful book, Transformational Groups: Creating a New Scorecard for Congregations. How is your church doing with small groups? > Read more by Ed. Would you like to learn more about the power of small groups? Connect with an Auxano Navigator and start a conversation with our team.